Sometimes you need more than someone who listens. St. Anthony Counseling Service is a private, nonprofit organization dedicated to helping build better futures for people seeking counseling in the Boston area. The primary mission of this nonprofit organization is to provide therapeutic counseling to individuals, couples, and families who are experiencing mental health issues. Consultations are free. Every relationship deserves to succeed. We make it happen.
. As a Former Instructor in Psychology at Harvard Medical School, I have been in private practice for over 15 years. 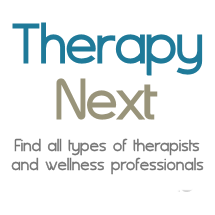 I have particular experience in helping clients with anxiety and eating disorders but also see people with a wide variety of concerns relating to relationships, difficulty with life transitions, adjustment to medical issues and other mood issues. Acompanying you on your journey. Along with my twenty five years plus of professional counseling practice, I have a lifetime of challenges that have added to my understanding and compassion of my clients; Joyful experiences such as adoption to life altering traumas as death by suicide and illness of loved ones. All people are different and there is not just one or two or even three "appropriate"
Are You Experiencing a Loss or Other Life Transition? Inspirations: Positive Psychotherapy and Creative Coaching, Inc. Welcome to Inspirations, founded in 2005 as a source for positive psychotherapy and counseling. Located in Acton, MA and Ashburnham, MA, Inspirations counseling is individualized, empathic, and professional. The approach I use is to help people identify and use their personal values and strengths to overcome difficulties and create a truly joyful life. Get to the Real Issues and See Results! I provide evidence-based treatments delivered with compassion and humor. I specialize in Cognitive Behavioral Therapy I specialized in the treatment of children I see adults for individual and couples counseling My treatment modalities are CBT, DBT, expressive therapy, exposure therapy, and life coaching.